Kim K and MAC have partnered up to give two lucky people a goody bag filled with products selected by Kim herself. Click here for more details. 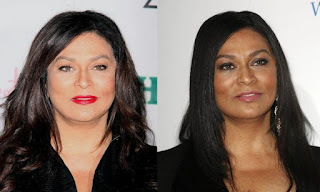 I am all for Mamma Knowles never wearing a red lip again! Monday night she ditched her usual red lip for a softer pinky one and I think it looks great. NEVER EVER wear that red again T...EVER! 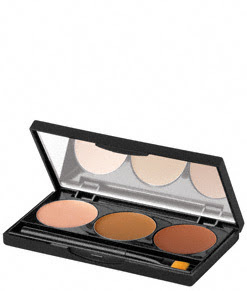 An eye shadow base by Benefit that brings out the true color. A Sephora makeup artist put me on to it last year and I've been using it ever since. Just smear on a little bit on your lids, let it dry about a minute or two and put on your fav eyeshadow. Tip #1 - Apply foundation on 10% of your face, then blend it from there. This prevents you from having that overdone makeup look. 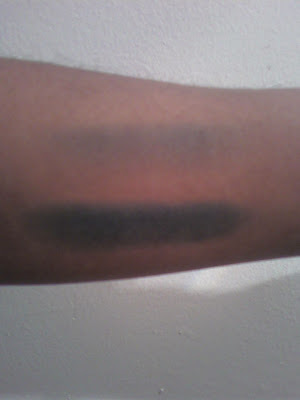 Tip #2 - Apply eyeshadow with a damp brush. Mist the brush with water before applying powder eyeshadow. This makes shadow creamier, intensifies the color, and makes it wear longer. Tip #3 - Replace your mascara wand with a flat liner brush to paint your lashes. Dip the brush into your mascara, then paint your lashes starting from the base and working up. This gives a smokey eye effect for lashes. 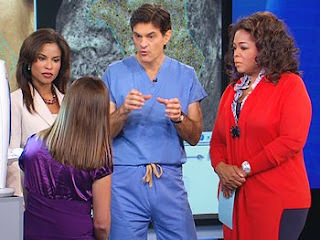 On Tueday, Oprah got together Dr. Oz, Dermatologist Dr. Evans, and product tester Paula Begoun for a Science of Beauty show. The show was about inner and outer beauty from head to toe and touched on some of the most common beauty concerns. OMG...talk about heaven! I was glued to the tv. From skin to hair to nails to foot care, it was a very informative show. Below is a recap of the major topics covered along with product suggestions. We spend billions of dollars on beauty products that simply do not work. Often times, to address problems we're having with or skin, simple, inexpensive products are recommended that will do the job. Also noted, a lot of times we tend to use too harsh products on our skin, which is stripping our skin of oil. So what ends up happening is, your skin thinks it's not producing enough oil, so it over compensates and produces even more oil which then leads to breakouts. This one audience member used regular Anti-Bacterial soap on her face thinking it would kill the bacteria on her face that caused her acne...YIKES! Exfoliate - self explanatory. Your skin needs to "renew"
Cellulite is pretty much here to stay, once you've got it. There is NO CURE for cellulite! None, zip, zero! Products that claim to elimate it are temporary fixes. Creams, Lasers and such provide a temporary solution by plumping up tissue and muscles which makes the skin smoother TEMPORARILY! Exfoliate - Alpha Hydrox Lotion. Contains high levels of glycolic acid which aids in exfoliation. "Grab some hair, about as much as you would put in a straw. Grab it at the very bottom, right where it comes off the scalp, and pull up," he says. "Now look at how many hairs you have in your hand. A straw amount of hair is about 60 hairs. If you're pulling out more than six hairs, then you're starting to lose hair a little rapidly." One of the simplest and least expensive things you can do for your hair is to purchase a Charcoal Water Filter. Place this in your showerhead and it will pull out the chlorine that is in the water. Chlorine strips the hair of it's natural oils. Wear a hat when in sunlight and only wash your hair when it is dirty. Washing hair every day is not necessary and just dries out your hair even more. Always use a wide tooth plastic comb to detangle hair. When using a brush, make sure to use one with rubber tips. Foot Fungus - keep feet dry and allow feet to get some sun. Sunlight kills fungus. Our hands are more exposed to sunlight than our feet, which explains why the nails there are less likely to develop fungus. Solution is oral medication, however, these meds can cause liver failure. Sometimes the problems we're having with our feet is not fungus at all. Often times it's some type of infection thats around the nailbed. Try soaking feet in vinegar or tea tree oil to see if that helps. Bunions - 90% hereditary and the other 10% is from wearing high heels and shoes with a narrow front. Surgery should only be done if the bunions are painful. At bedtime, rub a Stridex Pad over your heels, slather on some Cocoa Butter or Vaseline and slip on some socks. Do this for a week and your heels will be smooth as silk! The Stridex pads contain 2% Salicylic Acid, which is an execellent exfoliator. Vanessa Marcil (GO BRENDA - from General Hospital) hosts the new reality series, Blush. 9 makeup artists compete to win a contract as a professional makeup artist with Max Factor, a cash prize of $100,000 and be the makeup artist for an InStyle photo shoot. The series premiers tonight at 10pm on Lifetime.....BE THERE!!! Need a little pampering? This week (November 10th - November 16th), New York salons and spas are participating in Shecky's Beauty Week. Massages, facials, 'cures, haircuts and other beauty treatments and services at up to 75% off. Click image below for a complete list. Rihanna's new Covergirl ad for Exact Eyelights Eye Brightening Mascara. is a trio of colors that you can mix for that perfect flawless shade. This is especially great for when your skin tone changes color from season to season. Who wants to have to buy different colors all the time? 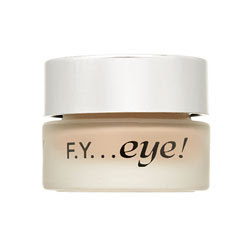 Just mix these colors and coverup those minor flaws like under eye circles, blemishes and discolorations. 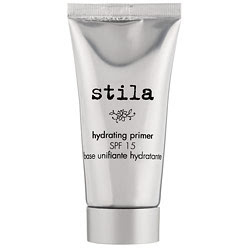 I've tried several concealers and this by far is the best and matches my peanut butter skin perfectly. Available in light, medium and dark. Sephora no longer carries Philosophy's makeup line, but you can purchase the palette at Philosophy's website or Nordstrom for $25. Stock up on your favorite beauty items with Sephora's Friends and Family savings. From now until Monday, November 10th, save 20% off everything on Sephora.com! Just enter FF2008 at checkout. I was praying for Obama to win so I could post this pic!...lol. 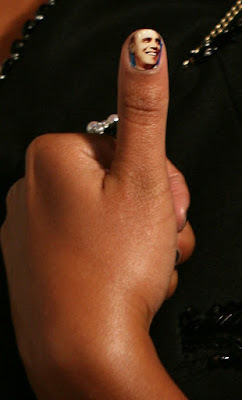 For the last few weeks, celebs like Bey, Solange and Eve have been seen with Obama nails. I'm sure a lot of people will be jumping on the Minx bandwagon now. Made of film, Minx is a nail coating that comes in foil and sparkly metallics, photo-quality designs and several colors. Completely customized nails! 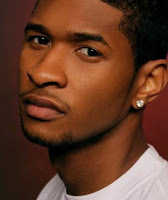 In a recent Allure Magazine interview, Usher lets us in on his daily beauty regimen. It's so refreshing to know that some gents have "routines" just like us!